I’m excited to spend a couple of uninterrupted days with the family and *hopefully* have the opportunity to unwind a little. I love to pack fun things to keep the kids occupied and busy – not only for our time spent camping but on the two hour road trip as well! So keeping that in mind, we stopped by Albertsons yesterday to stock up on ‘the essentials’. 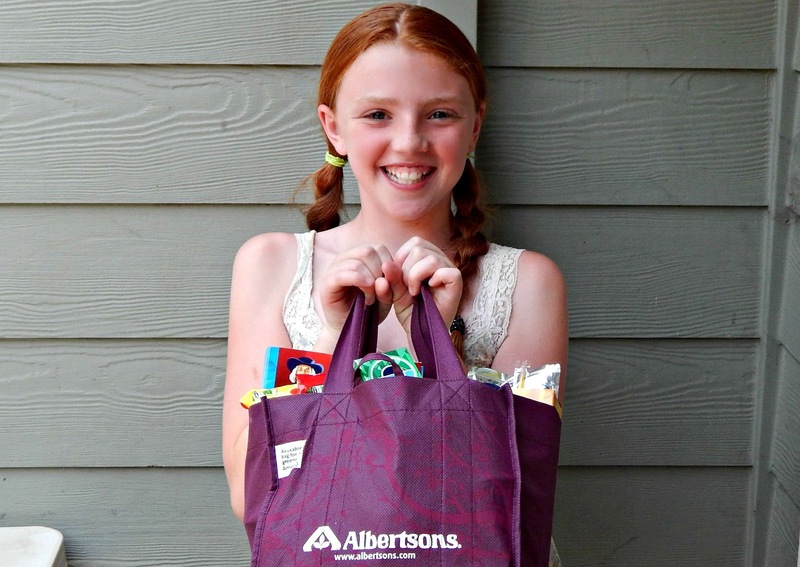 I don’t often give the kids a chance to go shopping for all of the snacks that they really want, so it was pretty fun trying to keep them under control! Make a list, and let everyone pick out a few of their favorite snacks. 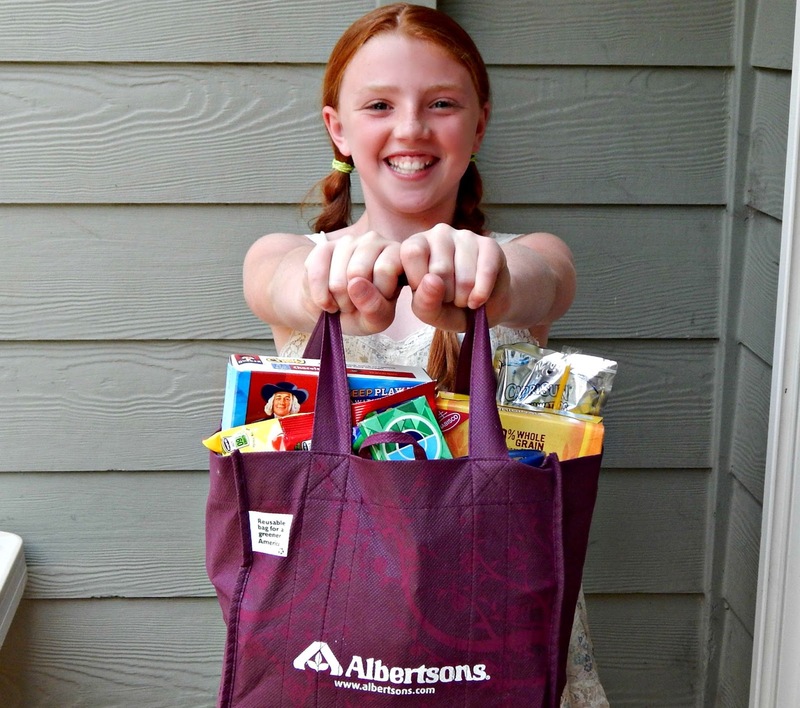 Head to Albertsons and if possible split the list in half, and have half of the family shop for some of the snacks, and the other half shop for the rest. Once you return to the car, separate the snacks equally so you have one bag in the front, and one in the back. Place drinks into an ice chest if possible. By planning an idea of your snacks and dividing the family up, it saves lots of time so you can get on the road fast and enjoy those travel snacks! There’s a fun contest going on where you can win big by sharing your best road trip hack! More information can be found HERE. 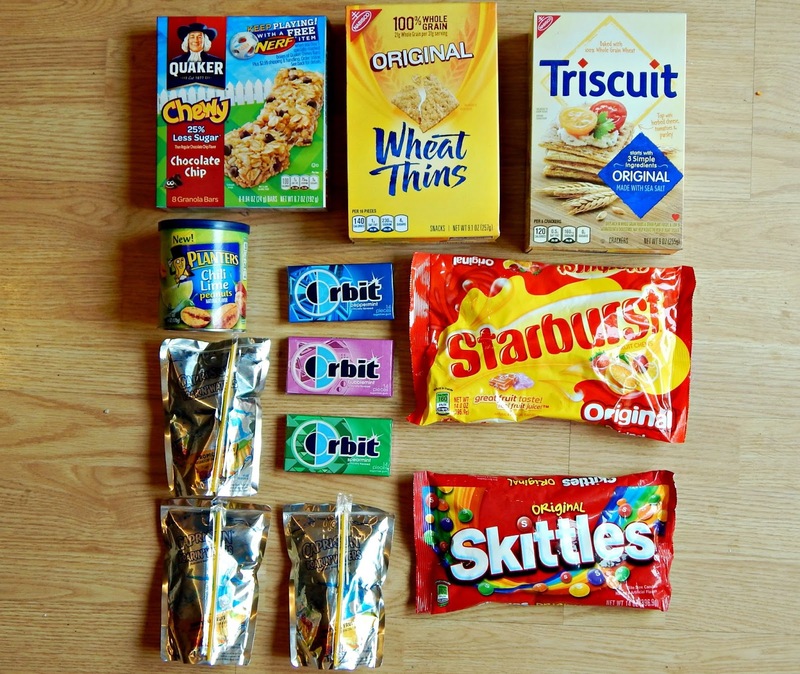 What snacks do your kids love to munch on during road trips?